I feel like its been a bad week, right? Between the crash—or shoot down—of MH 17 (with nearly 100 WHO HIV/AIDS researchers aboard) and events in Gaza with Israel, it sort of seems like it couldn’t get much worse. Well, turns out, it could. This week we have the first cases of Chikungunya in the U.S. and Ebola still raging. However, no one, in the biodefense world, had a worse week than the CDC. So far, in 2014, there have been 243 travel-associated cases of Chikungunya reported in 31 American states and two territories. This week, the infection numbers grew. The difference in this case, was that the man in Florida who was diagnosed, had not travelled outside the U.S. recently. This makes it the first case of the disease that had been acquired domestically. WALB—“The Centers for Disease Control and Prevention is working closely with the Florida Department of Health to investigate how the patient contracted the virus; the CDC said they will also monitor for additional locally acquired U.S. cases in the coming weeks and months. With the death toll from the ebola outbreak in West Africa at 603 (at least), more bad news emerged this week when we learned that budget cuts to the WHO make it for difficult for the organization to respond to the ongoing medical emergency. 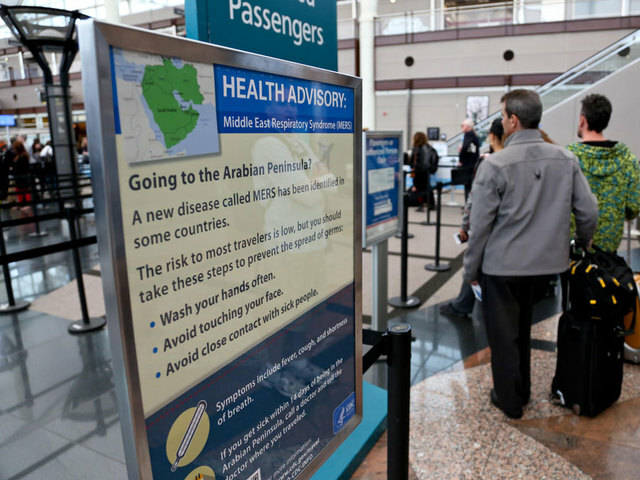 Beyond funding issues, efforts to stem the outbreak have been hindered by some countries failure to implement the WHO’s International Health Regulations which outline methods of reporting disease outbreaks. Update on the Found Vials: There Weren’t 6; There Were 327. In last week’s Pandora Report we learned about unsecured vials of smallpox that were found in an FDA cold storage room in a Maryland lab. This week we learned that it wasn’t just smallpox and it wasn’t just six vials—it was 327. Some of these vials contained select agents other than smallpox, like dengue, influenza, Q fever and rickettsia. Whoops! Mosquitos are responsible for a chickungunya fever outbreak in the Caribbean several hundred miles off the United States coastline. That outbreak is an addition to the expanding role arthropods play in the spread of illness. Many arthropods are erroneously classified as insects. While mosquitos, lice, and fleas are indeed insects with six legs, ticks have eight legs and are technically arachnids. The term arthropod is an overarching classification encompassing mosquitos, fleas, and ticks – all common disease vectors. Insects are arthropods, but not all arthropods are insects. Arthropods spread several of the world’s most significant diseases. Notable among them are Lyme disease, typhus, yellow fever, Japanese encephalitis, West Nile virus, and, most significantly, malaria. Of the 45 select agents designated by the U.S. Department of Health and Human Services, 12 are transmitted by arthropods. Diseases spread by arthropods have influenced some of the greatest conflicts in history. More French soldiers are suspected to have died from louse-borne typhus than actual combat during Napoleon’s ill-fated 1812 invasion of Russia. Staggering mortality among the French army forced Napoleon to renounce Moscow and retreat back to France. During WWII, mosquito-borne malaria was a serious health threat to U.S troops throughout campaigns in the South Pacific. Several tick-borne bacterial illnesses have been endemic to North America since antiquity, including Lyme disease and Rocky Mountain spotted fever. In recent years, mosquito-borne viruses have made their way across U.S. borders. The introduction of West Nile virus in 1999 and a 2005 dengue hemorrhagic fever outbreak in Texas have solidified emerging and foreign arthropod-borne diseases as threats to U.S. public health. Arthropods can also serve to carry out bioterrorism. Terrorists could utilize arthropods to execute clandestine bioterror attacks through exploitation of feeding behavior. Inoculation of arthropods with the desired agent and subsequent release into unsuspecting populations could spread illness during, or shortly after, blood meals. Although possible, that scenario is unlikely due to the difficulty associated with production and maintenance of pathogen-inoculated arthropods. A more likely bioterrorism scenario involves malevolent forces utilizing more passive means of compromising U.S. health. North America has many indigenous mosquito species – several of which can spread pathogens found in other parts of the world, such as Rift Valley Fever in Africa. Introduction of any disease capable of spread and maintenance by indigenous arthropods is a significant public health threat. Some unsubstantiated theories suggest West Nile virus was intentionally introduced to the U.S. in this way. Possibilities of an arthropod-facilitated attack has placed a heavy burden on keeping undesirable pathogens out of the country. There are steps everyone can take to reduce their risk of arthropod-borne diseases. Mosquito control methods, such as elimination of outdoor untreated stagnant water sources, should be practiced regularly. Also, mosquito repellent, in addition to long-sleeved shirts and pants covering the ankles, should be worn whenever going outdoors. Similar measures can be taken to prevent tick bites – wear repellent, tuck pants into socks or boots, shower after returning indoors, and perform tick checks daily. 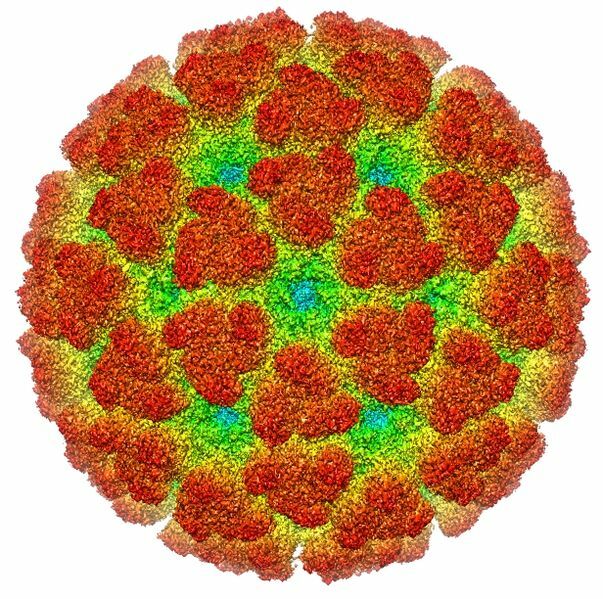 This week’s image is of Chikungunya, the mosquito-transmitted virus currently making its way across the Caribbean. There have been over 1,000 laboratory-confirmed infections since the virus first appeared on St. Martin in December of last year. The virus causes symptoms similar to dengue (ouch), including febrility and severe joint pain. Luckily the disease is rarely fatal, with symptoms usually resolving within ten days. Just a quick note that the Biodefense Policy Seminars are back on! Our February speaker is Charles Duelfer, former Special Advisor to the Director of Central Intelligence for Iraq WMD and former Deputy Executive Chairman of the UN Special Commission on Iraq (UNSCOM). Free and open to the public – click here for more information! Highlights include Salmonella, H5N1 in Canada, H7N9 picking up in China, and Chikungunya in St. Martin. Happy Friday! Much like an action film protagonist, Salmonella biofilms are notoriously difficult to kill. According to new research from the Journal of Applied and Environmental Microbiology, once Salmonella bacteria are able to form biofilms on a given surface, three different common disinfectants all are rendered ineffective. Salmonella’s ongoing hardiness explains in part the difficulty in effectively containing outbreaks. The strain of H5N1 which killed a nurse in Canada closely resembles a Chinese strain of the virus. The nurse, in her early 20s, had recently returned from a three-week visit to Beijing. However, as she had no reported contact with poultry, and Beijing has not reported any recent outbreaks of H5N1, the source of infection and method of transmission remain unclear. The number of H7N9 cases in China are picking up again, with nearly 35 cases reported in the last week. This is just three under peak numbers during the height of the infection at the virus’ initial emergence. Health officials monitoring the situation remain split on the implications of the increased numbers – however, the prevailing opinion seems to be that as long as the virus remains poorly transmitted between people, we don’t panic. In the two weeks since Chikungunya made it to the Caribbean, it has quickly spread to over 200 people. The virus can cause febrility, joint pain, and intense myalgia. Trouble in paradise (it had to be said)?